Hint: The shorter, the better. Some older scanner apps are having problems with texts longer than about 300 chars. Need two addresses and more options? Test our extended generator for vCard QR Codes! Your QR code data is encrypted during transmission (TLS/SSL) and not stored. Note: You can use the QR code completely free of charge (commercial and print usage allowed). Like this service? Recommend us! 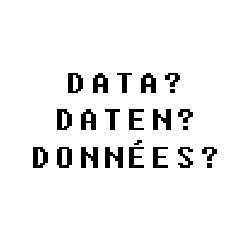 Help us keep this free service up and running: Recommend us on social networks or donate to our thank-you box (via PayPal or Flattr). Thank you! You can generate free QR codes on this website. A QR code is a two dimensional barcode that stores information in black and white dots (called data pixels or “QR code modules”). Besides the black and white version, you can also create a colored QR code. For these codes to work without problems, make sure the contrast is sufficient and the result is not a negative (in terms of color). To make your QR code even better, you can also get a QR code with logo. Just enter your text, your URL, a SMS or vCard contact information. The QR code will be generated automatically as you type. Just click on the “Download” button to get the created QR code image then (the image is available as EPS or SVG vector graphic, as well as high-resolution PNG, GIF or JPEG raster graphics format). You can also embed the QR code directly on your own website and use it, just have a look at the code offered by the “Embed” button. Of course, you can place and use the QR graphic on leaflets, posters, business cards or other products without any costs / for free (including commercial use). Important Note: Keep in mind before printing that it is not possible to convert static QR codes into dynamic QR codes because of technical limitations. This is why we recommend out QR management solution QR-Server for important projects and campaigns. We offer QR codes in print quality – the vector graphic formats EPS and SVG can be downloaded for free and without registration. 2D barcodes (a group of barcodes the QR code belongs to) are comparable to common, one-dimensional bar codes as they are e.g. used on the product packaging at the grocery store. However, QR graphics are able to store much more data, they can include over 3000 characters on a very small space. To create one, the information gets encoded according to ISO/IEC 18004:2006 by a QR generator like ours. The high data density compared to simple barcodes, the licensing policy of the QR developer / creator Denso Wave plus the wide availability of reading software has helped the QR code to establish itself and pushed technically comparable 2D codes out of the market (see “What is a QR code” for more information on this topic). The most prominent use-case for QR codes is the area of mobile marketing. Because there is free QR code software to read QR codes for almost every smartphone with a camera (e.g. iPhone, Google Android, Blackberry, Symbian), QR codes are used as a link between offline media such as paper and websites. The user just needs to scan the code instead of typing long, unpleasant web addresses. However, a QR image can even be scanned and decoded with older mobile phone cameras and models without Internet access as QR code readers are available for free for less common and legacy platforms. But the intended use of QR codes and for devices without Internet access is mostly limited to the import of business contacts and address data (vCards), trigger phone calls or text messages (see also “Overview of the different QR code types and functionality”). In particular, QR code business cards are perfect to enable others an easy and typo-free import of your own contact details. 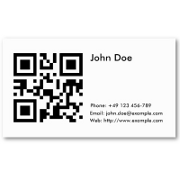 Just print a vCard QR code on your business card. Beside QR codes with logo, there are also so called Design QR codes. QR codes with design are even more modified, they provide a more artsy look than just an image-logo placed in the center of a QR code. Our partner VisuaLead offers numerous functions with which you can let your creativity run wild. Create unique, professional QR codes. A QR code is a two-dimensional code (2D code, matrix code), this means it contains data not only in one dimension (e.g. horizontally from left to right like the barcodes on the products in e.g. your grocery store) but also in a second dimension (vertical and horizontal). The acronym QR is short for “Quick Response”. QR codes are also often called 2D barcodes. However, this notation is not correct, because it means “a two-dimensional code consisting of bars” although a QR code consists of pixels (so-called “modules”) instead of bars. The QR code was invented by the automotive industry. Toyota asked their supplier Denso Wave to develop a barcode to safely and easily identify components. QR generators were originally used in industrial applications. Therefore, they had to be easily printable in form and size as well as staying legible when partially destroyed or dirty. Like other codes, the QR code symbol can be captured with imaging devices like a camera and then digitally processed. A software prepares the captured image data until it can be algorithmically processed according to the QR code standard so the QR code content can be read. This process is assisted by the use of the Reed-Solomon error correction—which is also used for audio CDs to ensure that the data can still be read correctly even with small scratches on the surface. 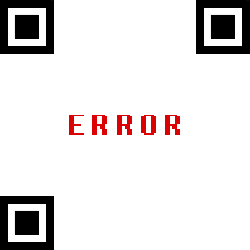 The error correction capabilities are also used for QR codes with logo (often also called “Design QR code” or simply “QR code with image / icon / logo”). This QR code graphics are faulty “ex works” as the normally centered placed logo in a QR code hides some of its data just as would ordinary dirt. Because of the excellent error correction (they can be read even if up to 30 % of the surface gets destroyed) and the high memory capacity (in comparison with other bar codes), the QR code also gained traction outside the automotive industry. Modern mobile phones are powerful enough to run QR code reading software and also usually provide a camera. This combination brought up a variety of possibilities to use the QR code to easily transfer data without typing to the peoples new communication center, the smartphone. Therefore, a widespread use of QR codes became possible with the recent smartphone boom and the increasing spread of mobile internet. A QR code generator is a software which stores data into a QR code (for example a text or a website address). E.g. this can be easily done with our online QR generator goQR.me: just create a QR code by typing in your data and download it as high resolution PNG or vector graphic (SVG, EPS). Now you may print your free QR code or embed it on your website to make it available to others. See What is a QR code generator? Spelling: “QR-Code”, “QR Code” or “QR code”? QR Code is the trademark term, the correct English spelling is QR code. In German, QR-Code (mind the hyphen!) is used. You can export your created QR code into many formats. goQR.me offers everything supported by our QR code API for download. Currently supported: PNG, JPG/JPEG, GIF, SVG, EPS, PDF. Are QR codes legally protected? What is the licensing policy? The QR code developer Denso Wave patented the QR code technology and released the QR specification as an ISO standard (ISO/IEC 18004:2000 and ISO/IEC 18004:2006. However, the patent owners decided not to exercise the rights resulting therefrom. Therefore the use of the QR code technology as defined by the ISO and JIS (Japanese Industrial Standards) is free of charge. Also a usage registration is not necessary. The name “QR code” is a registered trademark of Denso Wave Inc. in several jurisdictions (including Japan, the U.S. and many European countries). An appropriate notice should be visible when using the brand, is however not necessary if the QR code is only used as a pattern / picture / graphic / logo / icon (e.g. by including it on a website or when printed on a business card, brochure, leaflet etc.). More information can be found at the FAQ of QR code developer Denso Wave. Nevertheless a word of warning: Please be aware that a QR code image itself may be copyright protected when created by a third party and therefore may incur usage charges or other fees, depending on the license terms of the used QR code generator. Therefore play safe: The QR codes created on goQR.me are free of charge, for both non-commercial and commercial usage, e.g. by advertising agencies. So make sure to always create your QR codes with our generator. Is it possible to create different QR codes for the same content? Yes. Even if all input data and the chosen error correction level (ECC) are identical, there are various graphical representations of a legible and valid QR code with the same content. The reason is that there are eight possible data masks which influence the pattern. These masks exist to prevent some module patterns which are hard to decode. Not every data mask is really suitable for every content. However, many QR code generators do not take the testing and determination of the best mask seriously, although this may result in less legible (but still valid) QR codes. We’re happy to advise you and create print-optimized files quickly and reliably: QR code with logo. Use our service to make your QR codes more efficient. An image in the QR code attracts additional attention and directly shows what the code is about. Is it possible to customize a QR code by using a company logo or icon? Do QR codes have to be black and white? No. Most important is a good contrast between the light and dark modules / pixels. Furthermore, a colorized QR code should be no negative (in terms of color, the actually black pixels / modules have to be darker than the normally white pixels) as the dark modules / pixels contain the data and a negative will confuse many QR code readers. You can create colored QR codes with goQR.me for free. Just choose a background and / or a foreground color in the download, embed or shop dialogue. Normal, static QR codes are fixed. The data is stored directly in the QR code graphic (hence QR codes are also getting larger and form a more complex pattern if there is more data to store). Therefore, the stored data cannot be changed. Any typo in an already printed QR code cannot be changed, as with any other printed material. Important Note: please consider before printing that it is not possible to convert static into dynamic QR codes due to technical limitations. That is why we recommend out QR management solution QR-Server for important projects and campaigns. Can a QR code be edited/changed? Disambiguation: QR code module or pixel? The single (normally black and white) elements of a QR code are officially called “modules”, not pixels. This term allows to account for the technical difference between display pixels and the black and white squares of a QR code. Barcodes are—simply put—machine-readable fonts. Their “letters” consists of binary symbols that can be read optoelectronically. There are different barcode standards. Just as a person can read a foreign text as soon as they learned the alphabet and language, a barcode scanner or its software can read a barcode as long as the underlying standard is “understood” (= implemented). In general, barcodes are used as optical machine-readable labels on objects, containing information about the object on which they are glued. The most popular barcode type is used on the product packaging and can be viewed at every grocery store where they make the Universal Product Code machine readable. Because of their omnipresence, the terms “barcode” is often used synonymously for this UPC-A barcode symbol, although there are many other barcode types. How to read / scan a QR code? A barcode scanner (or a mobile phone with camera and an appropriate reader app) which supports the QR code standard is required to scan a QR code. QR code reader apps are made available by different manufacturers and for different mobile devices, mostly for free. There are many free QR code reader for Smartphones. However, they differ significantly in terms of usability, scanning speed and standards compliance (in particular regarding the processing of vCards). Therefore we provide an overview about recommendable QR code software. The QR code edge length should be not less than 0.6in/1.5cm (when using vCards 0.8in/2cm); the background color should be brighter than the data pixels (no QR negative in terms of color); Sufficient optical margin around the QR code. More detailed explanations and valuable printing tips can be found at our “print QR codes” sub-page. What kind of information can be stored in a QR code? QR codes store binary data. 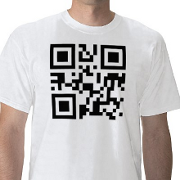 Therefore, possibly all kinds of information can be stored in a QR code. However, the storage capacity of a QR codes is limited to a maximum of 3 kB (using an 8 bit encoding) which naturally limits the possibility to directly store images and sounds. A link to a website which provides the multimedia content normally is the more sensible way to show image galleries or music via QR code. You can store short texts, SMS, all kinds of URLs and websites (Youtube, Facebook, Homepages), contact details (e.g vCards for QR code business cards, meCard), dates and calendar entries (iCal), telephone numbers, email messages, WiFi access credentials, geo and navigation data and much more. But you have to keep in mind that not every QR code scanner out there is able to process every type of data. You may have a look at out overview about “different QR code types and applications” if you need more information. Mobile Tagging describes the process of putting QR codes on real-world objects mark them with some message or connect them to some web page. A smartphone can decode / read the QR code with the help of the camera. The term is a reference to the graffiti jargon term “Tag”. See “Mobile tagging” for more information. Is it possible to count the QR code scans (tracking, analytics, measuring)? Yes. Our QR Management and Tracking solution “QR-Server” offers dynamic, changeable QR codes with analytics (especially suitable for advertising agencies). It was designed with professional QR users, advertisers and mobile marketing professionals in mind who need accurate analytics—access and scan statistics including geolocation—together with editable QR codes. Is it possible to track where a QR code was scanned (geolocation)? See Is it possible to count the QR code scans (tracking, analytics, measuring)? How long are QR codes valid? Do QR codes expire? From a technical perspective QR codes do not expire or get invalid: The information a QR code offers after scanning is stored in the graphic itself (hence QR codes also get larger and form a more complex pattern if there is more data to store). The stored data cannot be changed and therefore a QR code does not “expire” after a certain time. Unfortunately, there are shady QR code providers and generators, who simply do not store the data entered by the user into the QR code. An example: When you type the web address http://www.example.com, these unscrupulous providers store a redirection address like http://[domain-of-the-provider]/www.example.com into the code without notifying the user about it. So after scanning the code, you’re sent to http://[domain-of-the-provider]/ and redirected to the real destination www.example.com afterwards. The business model of these QR providers normally is to switch off the redirection after a short time frame. So the QR code “expires” even though neither the QR code symbol nor the data it provides were changed. The redirection normally is reactivated after some payment. Sadly, many users are willing to pay because re-printing publicity material, leaflets and things like that often costs more. However, there is nothing bad about QR code redirects in general (in fact, even our dynamic QR codes are based on redirects to make it possible to change the target URL after printing). But we think its bad manners to offer a “free” QR service but actually rely on the lack of knowledge of the customer to take the generated QR codes as “hostage” because the user created QR codes with expiration date without even noticing it. Wrongly display special characters (e.g. German Umlauts) are normally caused by charset issues. Since the subject matter is not straightforward, we wrote a dedicated article about it: Special characters within QR codes: what you should know about the charset and QR code encoding. This QR code generator is a gift to the Internet community brought to you by Andreas Haerter and Andreas Wolf. 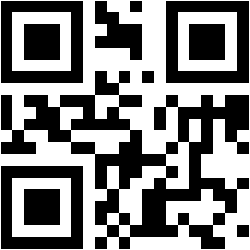 QR codes created on goQR.me are completely free of charge (commercial and print usage allowed, including advertising). Many other sites charge similar services and/or do not respect your privacy. Therefore we have to count on the support of our users. Dynamic, modifiable QR codes, so-called “dynamic QR codes”, are characterized by the fact that the stored web address (URL) can be changed later, even after you printed the QR code. E.g. you can change the address time-controlled or correct typos. Our management platform QR-Server addresses professional users who want to create modifiable QR codes, need extensive usage analysis (like the number of scans or the scan location) and want to download all managed QR codes anytime as high-resolution graphics for perfect print results. There are many QR code software products on the market (to create, read, manage or design a QR code, and so on). Therefore we created a small overview of the most important products. 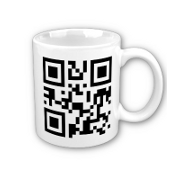 Our QR generator supports the export of generated QR codes in a variety of formats. PNG, GIF, JPEG (including high resolutions), as well as vector graphics in PDF, SVG and EPS. We recommend SVG and EPS for perfectly printed QR codes. You still have questions about QR codes or related topics? Our QR code FAQ provides a lot of information and answers the most frequently asked questions regarding QR codes and goQR.me.